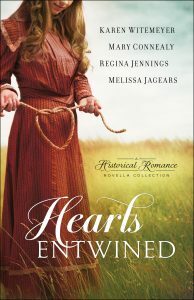 Are you ready to head to Wyoming with me for ranching, bad guys, family squabbles, and true love? Perhaps you’re like me and have been wondering when I’d write another marriage of convenience–it’s now! Learn more about the book, read a first chapter, and find all the stores where you can preorder by clicking here. Thought I’d share a little about the writing life. 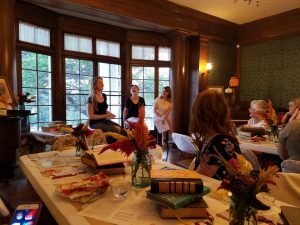 I had a FABULOUS time talking to readers at the Brown Mansion last month — Or as you might know it, the Lowe Mansion. That green wallpaper is the hand-painted Italian wallpaper I believe I mentioned in A Heart Most Certain. I took a few videos right before the event, and I’m hoping I can figure out how to voice over the crazy things I was saying as I was having such a fun time revisiting where things “happened” in the book as I ran around downstairs because I didn’t have much time. Pray for me that I get a bit less crazy busy and I’ll get on that, it was way too fun and felt way too real. As if I hadn’t made up those characters in my head at all! Oh my, life has been hectic this summer! I bet yours has too. I’ve wanted to get away from doing the final editing on my next book to show off its cover and thought of a FUN way to do it. I have a Jacob’s ladder toy in my book and figured that would be cool way to do a reveal! All I had to do was get crafty and keep my kids from breaking it before I had the chance to show it off! The cover will be up on the internet soon so you can see it without it being cut into strips (poor Annie got decapitated). But it’s still beautiful, at least I think so! Add Romancing the Bride to your To Be Read shelf on Goodreads! 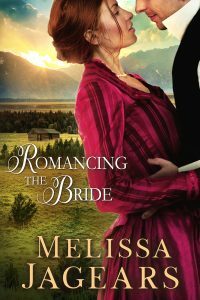 Preorder Romancing the Bride now! 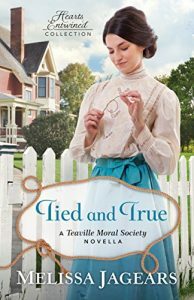 There are four stories in Hearts Entwined, and mine is called “Tied and True.” If you’ve read A Love So True, then you know who Marianne and Calvin are. This is a simultaneous novella with that book, so you can now see what happened behind the scenes! 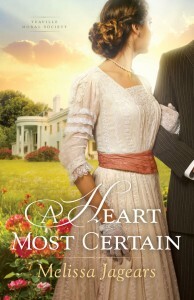 Here’s the blurb: Wealthy Marianne Lister is in love with business assistant Calvin Hochstetler, but he can’t see past the difference in their social status. 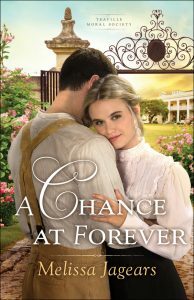 When Marianne takes a job to prove that she is prepared for a life of hard work alongside the man of her dreams, will it be enough to convince Calvin to risk it all for love? This summer I went on a research trip for some upcoming books. And what I wanted to do most was go on a stagecoach ride, but not one that drove on paved streets or was a replica meant for tourists. No, this one was off road on an actual part of an old mail line, in a coach refurbished with historical accuracy in mind, and the driver purposely spent a bit of time going at the highest speed they would have driven to show us what it was like…..
Oh my goodness, no wonder people were so excited about the arrival of trains! There is nothing romantic about a stagecoach ride, and definitely no cross country reading happening to that poor soul crossing the country in a stagecoach. It was so bumpy I knocked my head twice, we had to sit my four year old between two adults for the very real concern he’d fly out, you couldn’t really see the pretty countryside pass by because the windows and rolled up oilskins made it so anyone taller than a child would have to duck to see out. 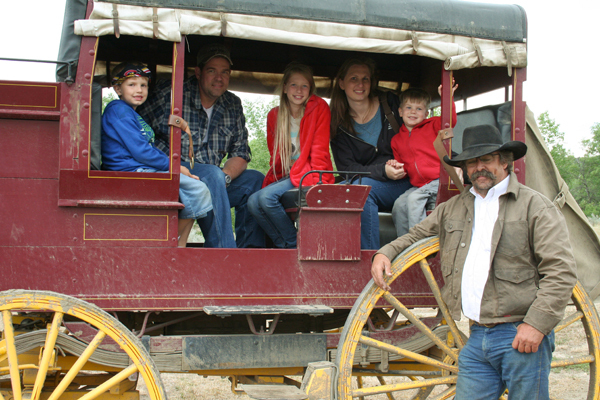 We rode with one other family of four and it’s cramped, and we went on a drizzly day so we didn’t come out clean. Plus the smell of the horses doing as they do…. You can see how bumpy the ride is in the picture below. The leather suspension is not there for the comfort of the riders, but the horses’! I have an SLR camera, so there is no lag time between pressing the button and taking a picture, but it couldn’t take a single picture fast enough to catch us between bumps and it was only possible to take a picture when we were going slow (about 5 mph), because when we got up to top speed (about 15 mph at full run) there was nothing to do but hold on and try to keep from bumping your head against the carriage. Being so bumped around at 15mph sounds insane when we can now glide down a freeway at 75mph. 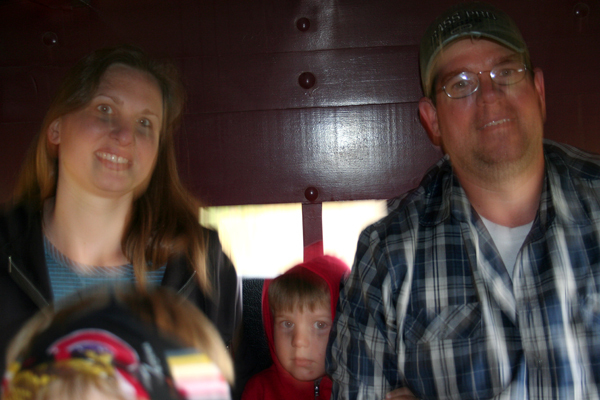 The four year old with the worried look sitting between us was not exactly certain why we’d chosen to get on this ride…. 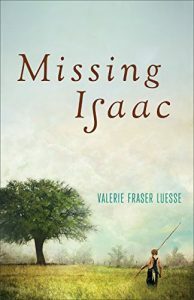 Over Christmas break on the long drive to see family, I read Missing Isaac by Valerie Fraser Luesse. A departure from my normal romance focused reads, but I enjoyed it very much (and thankfully there were two small romance threads to keep me ultra happy though they weren’t the focus of the book, but the hero in the older romance? Be still my heart.) The author writes for Southern Living magazine and you could almost taste the southern in this book. If you like to feel as if you’re in a real place with real characters, try this one out. 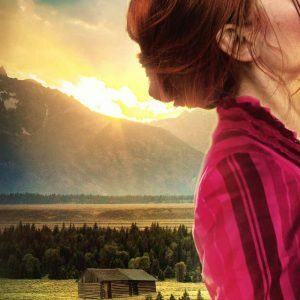 If you’d like to read an interview with the author, read the blurb, and get thrown into the giveaway hat for this book, visit my Inspirational Historical Fiction Index before the 16th to do so! Visit the Index and Enter the Missing Isaac Giveaway! 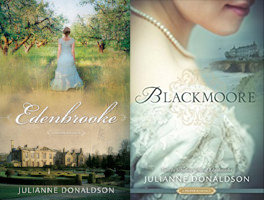 If you’ve been a subscriber to this newsletter for awhile, you’ll know the last time I mentioned Edenbrooke, I gushed. Well, it took me forever to get around to reading Blackmoore. Some reviews had mentioned that it wasn’t at all as fluffy and nice as Edenbrooke, so I waited to get it from the library and had been in no hurry. Well, it was so good! Silly reviewers! I put it straight on my Epiphany list because I had to have it on my shelf! So if you haven’t read these two and love a good romance, don’t wait! 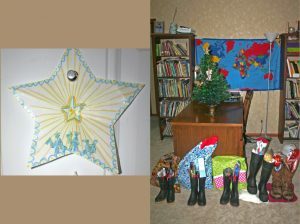 And if you were wondering why I’d put Blackmoore on an Epiphany list, it’s because my family does our big holiday fun on Epiphany instead of Christmas since we have to travel plenty during the December holidays.